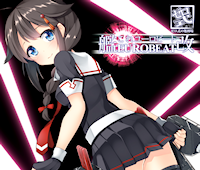 Kankore Eurobeat Kai is the second release in the series featuring eurobeat arrangements of KanColle themes. There are some pretty varied arrangements here, with some noticeable influences from trance and hyper techno. There’s a physical CD available, but it’s also up for purchase digitally at DLsite.